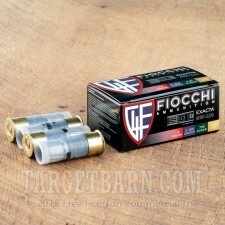 Fiocchi Law Enforcement Low Recoil 12 Gauge Rifled Slugs - 250 Rounds of 2-3/4" 7/8 oz. Law enforcement officers, military personnel, and civilian shooters alike have trusted Fiocchi ammunition for generations. Founded in 1876 and based in Lecco, Italy, Fiocchi is committed to using only top quality components to produce ammo with strict production standards. Whether you are protecting your family, your community, or your country, you can count on Ficchi to deliver quality, reliability, and performance. 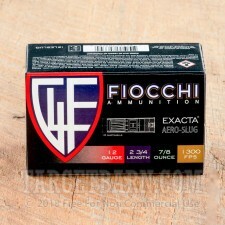 You get 250 rounds of Ficchi Law Enforcement Low Recoil 12 gauge ammunition. 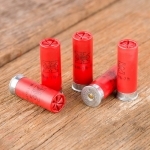 Each of these rounds features a ⅞ ounce rifled lead slug designed to increase the effective range and stopping power of smooth bore shotguns. 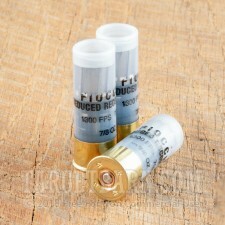 These rounds are boxer primed in reloadable 2 ¾ inch shotshells. Specially produced to minimize muzzle rise, these low recoil slugs deliver better shot-to-shot recovery and improved accuracy over multiple shots when compared to standard shotgun slugs. These easy-shooting rounds also reduce shooter fatigue making them a great option for high volume shooters. A practical option for law enforcement, tactical, and self-defense use, these rifled slugs produce a consistent muzzle velocity of 1300 feet per second.